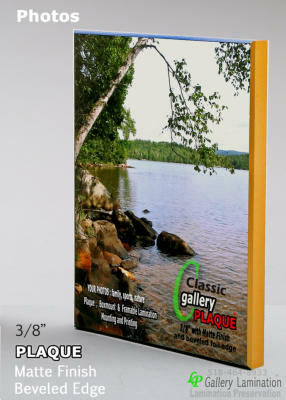 Our Plaque is 3/8” in depth and is solid MDF. recommend a maximum size of 24” x 36”. 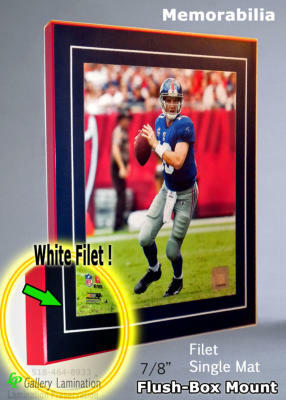 filets, floating layers or even a traditional frame! Best of all, there no extra charge to laminate and mount odd sizes! frame your photo / poster with a traditional molding. mattings, filets, floating layers or even a traditional frame! 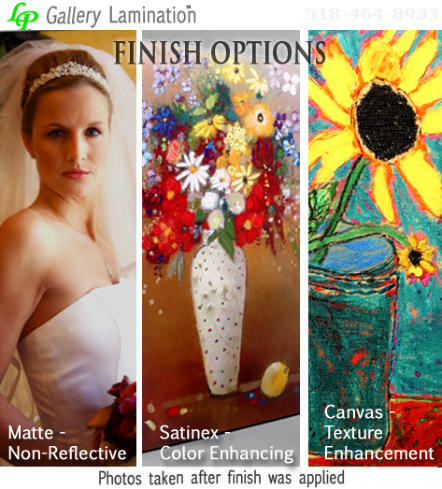 Dress-up and personalize your art with your own artistic flair! Flush-Box Mount it’s depth and strength. to 4 feet by 8 feet. All of our films or of the same premium quality. effect you wish your image to have. provides a dead matte finish. The films are applied directly to the surface of your image. We do not “transfer” or reproduce your image. We use your original image. floating above either a single or double mat. layers. Even add a traditional frame molding. prestigious. 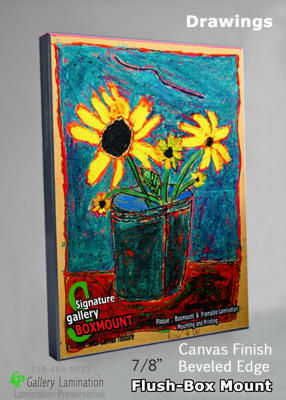 Dress-up and personalize your art with your own artistic flair! will make your image pop. Artistic! OUR STYLES and MANY OPTIONS! You image goes on top of the matting. 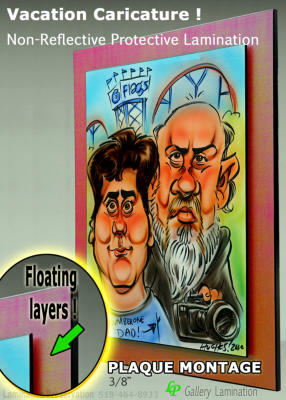 The matting goes completely under your image. 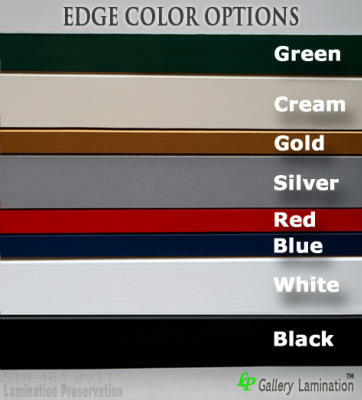 Our options range from sleek and simple to extreme! Every project is unique! finished individually. Just for your Art. degree bevel on the front. in making beautiful furniture and cabinets. document without over powering your image! All the benefits of our Gallery Lamination and Custom Framing. channel. 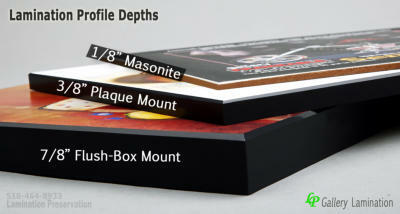 The entire surface of the masonite can be your image finished with one of our Premium Lamination Films. The “Ultimate” is our “Frame-Able”. Jazz it up with matting, filets & floating levels for the “Ultimate”combination! It can be as simple or elaborate , as you would like!